The rise in the international role of the yuan has been much discussed, though perhaps with more heat than light as the shackles have gradually come off and the RMB has developed a more international role. 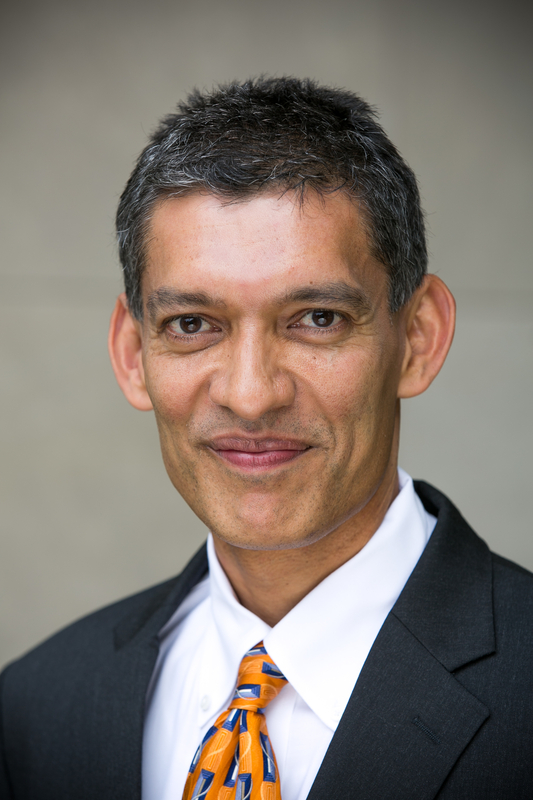 Eswar Prasad was formerly the head of the IMF’s China division and has now written what looks to be the set text on the internationalization of the yuan, Gaining Currency: The Rise of the Renminbi. Business Tianjin spoke to him about where the RMB is going and how it will get there. You studied for a PhD at the University of Chicago – did its own heritage shape your own economic thinking? How would you classify your own intellectual background? The most significant thing I learnt from my professors and fellow students at the University of Chicago is the importance of careful analysis of data and rigorous economic thinking. That training—to approach every piece of data, every argument, every issue—with a critical and balanced perspective is enormously valuable in one’s professional life, whether as an economist, academic, or other professional. While many professors at Chicago have strong views, of course, they teach their students to think and reach conclusions for themselves. In my own work, I have learnt that that each school of thought has important and useful ideas that need to be taken seriously. And I also recognize that, while economic models and analysis are essential in designing economics policies, policymaking in the real world is a lot messier. It is important for economists to get outside their comfort zone and engage with policymakers and also the public to shift debates and policymaking in the right direction. What led you to the position of the head of the IMF’s China division in 2002-2004? What were the main issues you handled whilst there? I was fortunate to be asked to head the IMF’s China division at a time when China was opening up to the world and becoming one of the most interesting economies to follow. I was brought in mainly to increase the IMF’s research work on China – it was already clear that China did not need the IMF’s money but would benefit from research-based policy advice. China’s economy has made great progress and increased enormously in size since then, but many of the issues that we advised the government on at the time are still relevant today! These include the need to fix the financial system, reform state-owned enterprises, allow for more labor mobility, control local government borrowing, make the exchange rate more flexible, and improve the public tax and expenditure systems. In your 2014 book The Dollar Trap, you argue that that was no foreseeable rival to the dollar in international finance. Was the aim of the book to seek the facts of the situation or to remove misapprehensions? To be frank, when I started writing the book I had expected to write that the financial crisis had weakened the dollar’s role in global finance and that other currencies, such as the euro and perhaps even the renminbi, would soon be serious rivals. As I looked through the numbers and conducted my analysis, it became increasingly clear that the opposite was true. Paradoxically, the dollar’s role as the dominant global reserve currency has become stronger since the financial crisis. So then the book was my way of understanding how this came to be, and the analysis ended up looking at the structure of global finance, the inherent structural weaknesses of the international monetary system, and the reasons why the financial crisis resulted in the dollar tightening its grip on global finance. In your new book Gaining Currency, you make a convincing argument that the RMB is some way off ever being a rival to the dollar, though one can see how the importance of the yuan is rising. What does the Chinese government see as the benefits of an international role for the yuan? Is it right to so think? Making the RMB a major global currency would enhance China’s role in the world economy. There would also be some tangible benefits, such as lower currency risks for Chinese importers and exporters, if the RMB starts playing a more significant role in cross-border trade and financial transactions. However, there are also some costs—it would be harder to keep the value of the currency stable. A more important point in my view is that the objective of making the RMB a truly global currency serves the Chinese leadership well in terms of domestic reforms. It provides a framework for pushing forward capital account opening, financial sector reforms, and exchange rate flexibility and blunting domestic opposition to those reforms. In the book, I describe this as a “Trojan horse” strategy. Whatever happens with the RMB’s prominence on the world stage, such reforms are good for the Chinese economy. China’s acceptance into the IMF’s Special Drawing Rights was evidently something it worked hard for, and which authorities such as Christine Lagarde also largely desire. Was this another case of wanting to bind China into the international system? If so, how would you evaluate that policy? The RMB’s inclusion in the IMF’s SDR basket could prove to be a good thing both for China and the IMF itself. When China decided it wanted to get the RMB into the IMF’s elite basket of currencies, it felt that this would be a great way of getting more prestige for its currency in one fell swoop. The IMF and China came together and decided on a checklist of things that China needed to accomplish over the next year. That checklist turned out to be very useful to the Chinese government, particularly for the PBOC, in pushing forward domestic reforms. Closer engagement with China also benefits the IMF, which in recent years has lost some of its relevance to emerging market economies. Some of these economies have come to see the IMF as being run largely by and for the interests of advanced economies, so this move counters that perception to some extent. You several times demonstrate the strategic intelligence of the Chinese in their development of the role of the yuan. Yet when the PBOC moved the RMB to a more market determined rate in August 2015, it caused a near panic in the market. What happened there? What lessons would the PBC have learned? China’s intervention to devalue the RMB while ostensibly loosening its control of the currency was intended to make progress on an important reform while deflecting domestic opposition. However, because of poor communication about actual policy intentions and the fact that it came at a time of great concern about the state of the Chinese economy, the move backfired as it was seen mainly as a panic-driven measure to prop up growth. The after-effects of this misstep have persisted until now, with any downward move in the currency’s value interpreted as at least partially signaling the government’s desire to use currency depreciation as a tool to promote exports and growth. My view is that the PBOC has more honorable intentions—to let the currency float more freely—but is now caught in a trap somewhat of its own making. You are justly critical of the PBOC’s communication ability. Do you think it can adapt to a more open and accountable mindset? Does it have the institutional strength to do so? The PBOC has tried to aggressively push for financial sector and capital account liberalization and reforms. But it has to work within tight political and institutional constraints. Despite those limitations, the PBOC could have done better in the August 2015 episode. Since then, it seems to have learnt some of the right lessons. For instance, the PBOC in principle now manages the RMB’s value relative to a basket of currencies rather than the U.S. dollar. This makes good economic sense. The PBOC is also doing a better job in terms of communicating its policy objectives to markets, with Governor Zhou Xiaochuan giving press interviews and speeches to lay these out. However, markets still perceive a lack of clarity in the PBOC’s intentions and markets have been kept guessing about the PBOC’s true goals and policies, which creates a risk of further volatility in currency markets. We are seeing record outflows of capital, with an outflow of US$46 billion in October alone. Is this simply down to poor growth in China and seeking investments elsewhere, or what other reasons are there? China has taken a risk in opening up the capital account and easing restrictions on both capital inflows and outflows before fixing its financial system. This can sometimes result in capital outflows that put excessive downward pressures on the currency. From a longer-term perspective, however, capital account opening can have many benefits for the Chinese economy. Some of the capital flows we have been seeing recently reflect portfolio diversification by investors, including households, corporations, and institutional investors. Such diversification is beneficial to investors and also creates competition for the domestic banking system, which could spur reform efforts. A more flexible exchange rate could also act as a shock absorber that could cause capital outflows to settle down. The approach of tightly managing the currency’s value and allowing it to move only gradually in one direction can sometimes have the undesirable effect of perpetuating capital flows in a particular direction and exacerbating tensions in domestic policies. In chapter eight, you discuss the weaknesses of the Chinese system, from shadow banking to capital flight. Does the government have sufficient tools to tackle them? Might institutional conflicts (such as the needs of local government and SOEs) hinder a genuine push to resolve them? China’s government needs to fix the banking system, bring the shadow banking system under control, and develop a broader set of formal financial markets, especially corporate bond markets. While there has been limited progress on some of these financial sector reforms, such as the liberalization of bank deposit and lending interest rates, these reforms need to be supported by real-side and institutional reforms. These include restructuring of state-owned enterprises, as well as a broader set of reforms that are essential for the smooth functioning of markets—such as improvements in corporate governance standards, auditing and accounting standards for corporations, and corporate and government transparency. Let’s look ahead say to 2030. What would success look like to the PBOC? What international role does the Chinese government want for the yuan? Do you think it will succeed? While the trajectory of the RMB’s rise is remarkable, the hype about the currency’s inevitable rise to dominance and associated fears about the U.S. dollar’s decline are overblown. If China plays its cards right, with financial sector and other market-oriented reforms, the RMB might conceivably one day become a significant reserve currency, rivaling the Japanese yen and British pound sterling and perhaps even the euro. It could even partially erode the dollar’s prominence in global finance, particularly as a payment currency. But, in the absence of broader political, legal, and institutional reforms, the RMB poses no serious challenge to the dollar’s supremacy as the dominant global reserve currency. Gaining Currency is out now. The value and influence of a nation’s currency is a key barometer of its self-esteem and international position. But not all currencies are the same. The renminbi is tightly controlled, not freely traded, its value not freely floated. While this gives the Chinese government great control, it also wishes for a greater international role for its currency, as befits a great nation. Hemmed in by these conflicting desires, the government has thus taken a series of careful steps to broaden the reach of the RMB. But how far can this process go? Will the renminbi ever become a reserve currency, like the US dollar and the euro? Could it supplant the dollar? What reforms must China undertake? These are serious politico-financial questions, reflecting the underpinning of the international order. 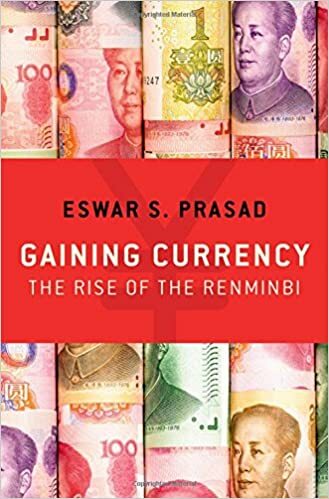 Fortunately Eswar Prasad’s book on the rise of China’s currency is no dry textbook, nor is it an actuarial summation. “Gaining Currency” has a keen awareness of the conflicts and the tensions of international currency regimes, as befits a book written by the former head of the IMF’s China division. (Prasad notes the leverage Western nations have in controlling “the choke points in international finance”, when imposing sanctions on Russia after its annexation of Crimea, and shows how China is working hard to avoid any such vulnerabilities). What’s striking is how careful and strategic China was in allowing the use of its currency. From a near-zero use abroad, international settlements in the yuan have boomed, and its role in trade has become increasingly significant. Yet as the yuan’s importance has risen, so too have the risks. Recent moves to a more market-driven valuation have come at the same time as downwards pressure on the currency, contrary to previous expectations of continual appreciation. This comes as no surprise to Prasad, who argues that institutional reform is key to China’s currency ambitions. He shows, for example, how the People’s Bank has failed to inspire confidence, and while its moves to thwart currency speculators might be commendable, contrary behavior from such a major financial institution can spook the markets. “Gaining Currency” is a superb, judicious overview of China’s monetary ambitions, and will be the set text on the subject for some years. There is a certain type of foreigner living in China who gains enough creditability in their understanding and explanations of life in China here that they get termed “a China hand”. Usually this involves a certain niche area of knowledge. China is simply too big, too populous and too ancient for anyone to have anything more than one area of expertise. Often China hands effectively act as ex-pat community leaders, helping newbies understand and so appreciate this strange new land. (Let’s just give a shout out to people like Kaiser Kuo formerly of Sinica and Baidu, Bill Bishop of Sinocism, historian Jeremiah Jenne, Beijing magazine-magnate Michael Wester and the many others who have provided help to everyone fresh off the boat). Yet even the China hands occasionally receive the accusation that every foreigner in China eventually gets – “You just don’t understand China!” For example, you’ll be discussing some aspect of life in China with a local friend, trying to understand it, and then out it comes – “You just don’t understand China!” (The ironic thing is that your friend will never then explain what you apparently can’t understand). Now of course, as a foreigner, you have a far shallower knowledge of any country you move to. It is impossible to replicate the absorption in a culture that comes from a domestic parenting and education. It might also be, perhaps, nearly impossible to fully appreciate the class basis and the cultural background of people’s interactions. (This can be one of the fascinating aspects of life in the UK, where class gradations are measured with a unique granularity). 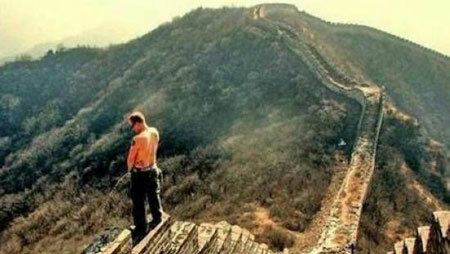 But this does not, I think, mean that China is impossible to understand for the foreigner. Most of us when we come to China read up on the history and the culture. We travel and we get the chance to talk to people – a far broader range than back home, in many cases. We are in the fortunate position that many locals actually want to talk to us; there’s no Parisian froideur or “Seattle freeze” here. For sure, anyone living here has to adapt. I’ve know one or two who could not and returned after less than a year, after enduring endless baffled frustration, but anyone staying longer will find themselves altered, perhaps radically. And there’s also the way that coming to understand a new country is one of the great joys of living abroad. What at first seemed like incomprehensible social rituals and behaviors gradually become explicable. Social arrangements and national institutions start to take the inevitability and legitimacy that they have back home. And this is how you adapt. So to have this accusation flung at us can be frustrating. Take for example a friend of mine, who write a tongue-in-cheek blogpost comparing some Chinese and US political leaders. He’s very well read in Chinese and US politics; that’s his thing. But an acquaintance of his, a local Chinese woman, took strenuous offense at some of the references, writing in great detail about the sorrier details of Chinese political history – of which, of course, my friend was well aware. (Even I knew them). The episode was insignificant in itself, but it was another demonstration of this rather puzzling certainty that foreigners do not understand China. Where does this belief come from? It might be something to do with the oft-reiterated view that China’s political structure is right for China’s stage of development – in other words, that China is organized for the way that China needs right now. While this might be true, it can be taken to mean that only China can know what China needs. But this doesn’t really follow. We can all understand rules, systems and cultures. China’s political structure, for example, is not unique, but was adapted from the Soviet system created under Lenin. The Chinese Constitution is freely available. The Chinese economy is still subject to economics. (Though, of course, advice on it tends to be highly partial). “Socialism with Chinese characteristics” can be studied by anyone paying close attention to domestic and foreign media. Chinese history is wonderfully rich thanks to the achievements of its bureaucrats and writers. And Chinese society hits you immediately you enter the country, with all its energy and earthiness. (I’ve never forgotten my first car journey upon leaving Pu Dong airport, where I saw a bus undertaking up the motorway hard shoulder. That’s when I knew I wasn’t in Kansas any more). In the end, people are people. We work, we raise families, we socialize, we eat. How a society organizes itself can differ greatly, but the varieties of human association are not unfathomable. You think foreigners can’t understand China? We think you can’t understand foreigners, if you believe that is true.